Indie Retro News: Caren and the Tangled Tentacles - C64 adventure work in progress gets an official name! 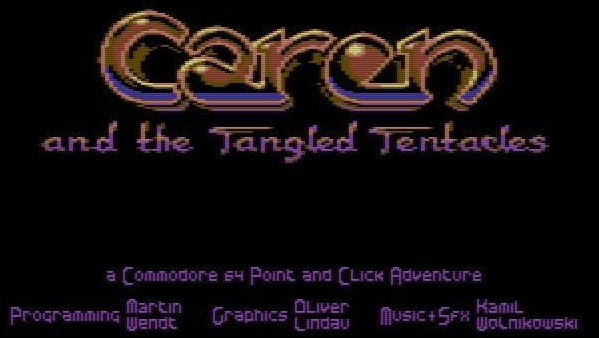 Caren and the Tangled Tentacles - C64 adventure work in progress gets an official name! Just last month we gave you the first heads up over a brand new adventure work in progress by Oliver Lindau, Martin Wendt and Kamil Wolnikowski that certainly looked most impressive as a contribution for a C64 game creation competition in the German Forum64. Originally titled 'Lindwendture Project' in a Lucas arts style design has now been given an official release name of 'Caren and the Tangled Tentacles', which sounds almost like an influence to Day of the Tentacle. But that's not all, as the creators have also released a new mock up screenshot for the masking stress test! 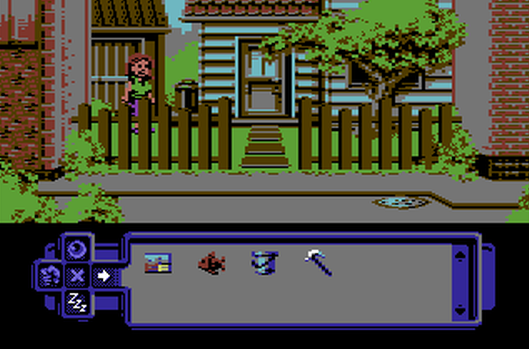 I for one am hugely excited for this adventure game on the C64, it has the detail, the charm of the classic adventures and if the latest updates are anything to go by could be a worthy classic for your 80's computer. Currently the release date is still set for the end of July, so up until that point keep an eye on Indie Retro News for further updates.